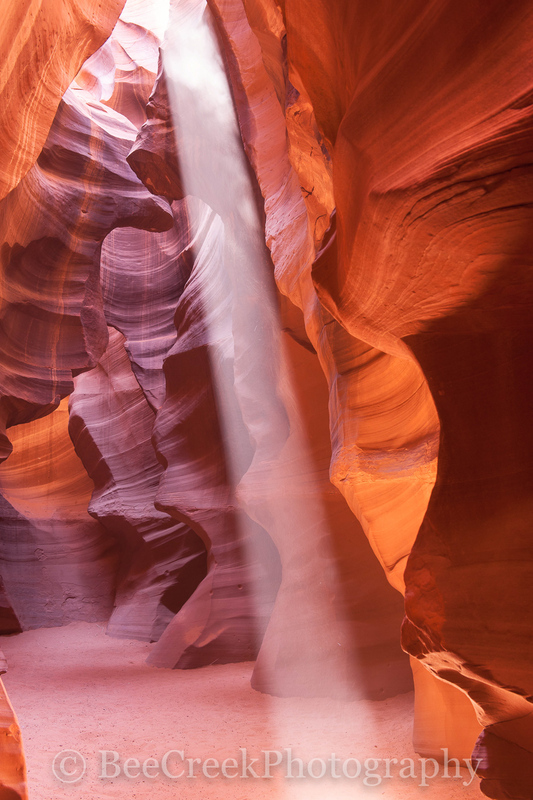 Canyon-Light - The upper Antelope Canyon is a great place to visit if you are near Page Arizona. These desert southwest slot canyons are beautiful and they have so many textures and colors from all the floods that have etched out these canyons over many years. The sandstone have definate bands of layers and as the erosion occurs through the many flash floods and wind blowing through out there narrow slots canyons the walls become smooth as if someone was carving them. It is a natural site created in nature but because of this feature so of the canyons in this area or no longer accessable as last I heard about canyon x. Photo © copyright by Bee Creek Photography - Tod Grubbs / Cynthia Hestand.